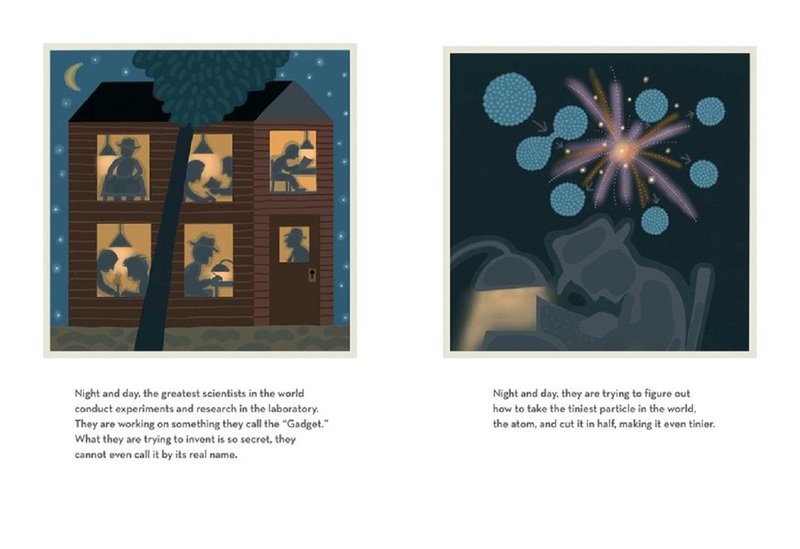 The beauty—no, perfection—of Jonah Winter and Jeanette Winter’s The Secret Project lies in what the text and illustrations don’t show readers. 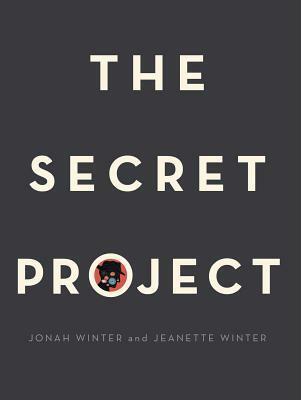 Jonah never uses the word “bomb” in his story about the invention and testing of the atomic bomb, and Jeanette never shows the faces of the scientists described, but this is hands-down the most powerful and edifying book about The Manhattan Project that has been published to date. 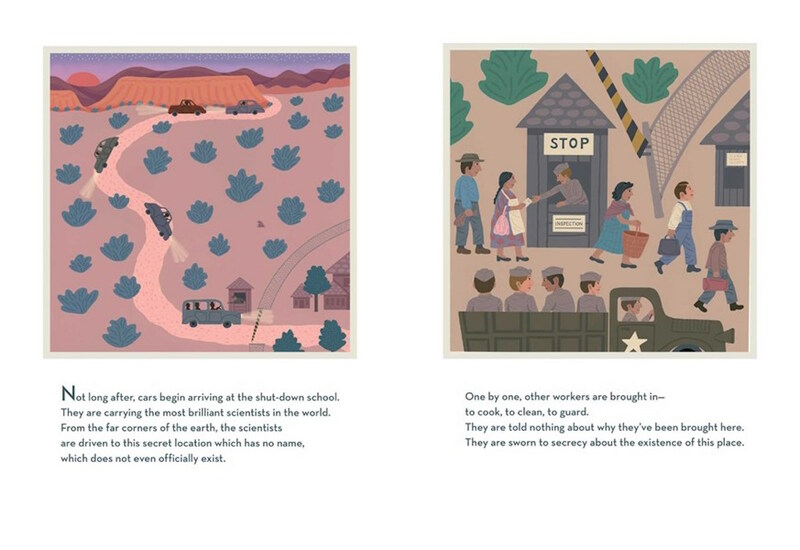 A group of scientists buy an all-boy’s school in the middle of the New Mexico desert to work on what they refer to as the “Gadget.” The creation of this “Gadget” is blanketed in mystery: it’s too dangerous to call it by its real name, and everyone who visits the laboratory during the two years of construction is sworn to secrecy. 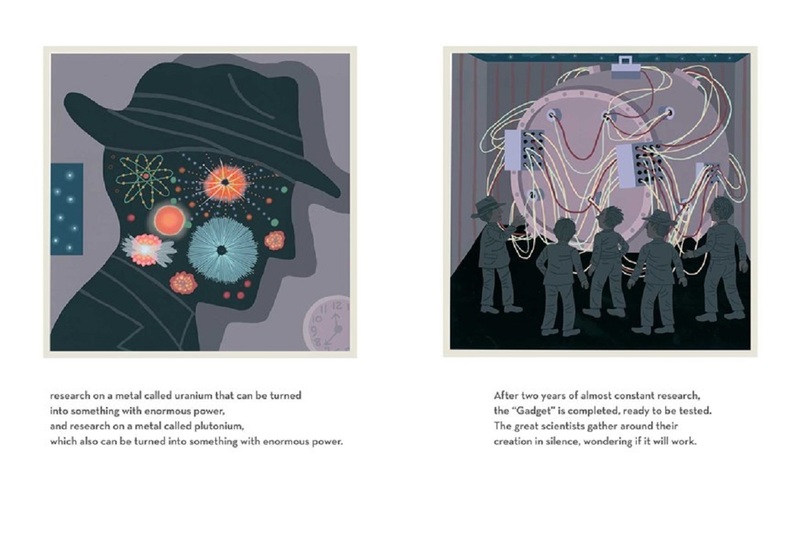 These glimpses, of course, mirror the way the a-bomb was actually executed—even the people brought in to cook and clean the laboratory (which existed in the middle of a desert!) had no idea what was going on. In slowly pulling people through this story and allowing readers to realize the impact of the events in the book, Jonah and Jeanette Winter allow readers to feel the gravity of the bomb’s creation and contemplate the decisions the government makes on behalf of its citizens. 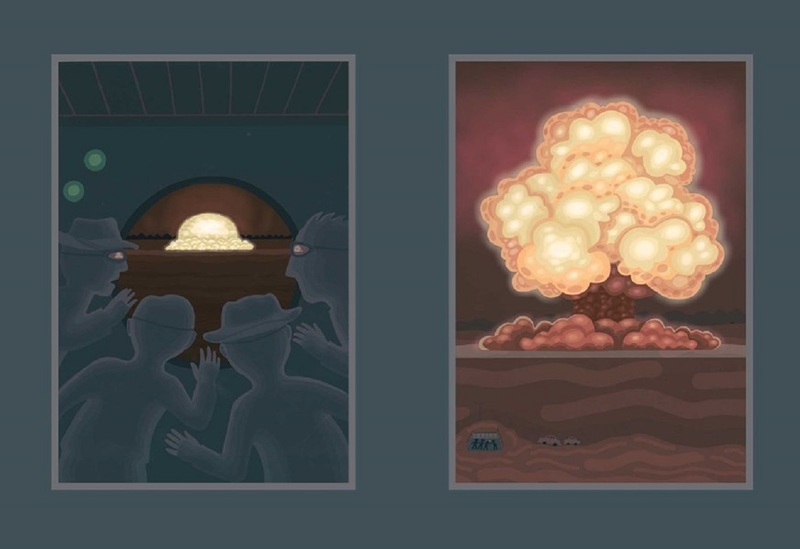 Not once are the words “bomb” or radiation” used, but it’s clear throughout the story that the lasting effects of what the government did were grave. It’s safe to say that no one will walk away from this book without carrying the weight of the events that occur. It’s inherently designed so that the story sticks with readers—and hopefully gets them asking questions—for a long time to come. This looks amazing — and it’s so important for these stories to be told. Thank you for celebrating this book.